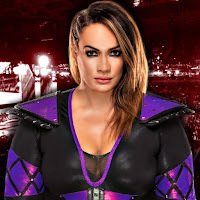 Nia Jax was a recent guest on 101WKQX to promote the upcoming Raw event in Chicago, Illinois. Jax stated her favorite person to travel with is Paige, but they do not travel anymore due to being on separate brands. She also stated that she sees herself as a singles competitor, so she does not have much interest in the tag team division if a championship was to become active.